A supercomputer simulation study at Caltech shows that at current rate of emissions, low lying clouds that cool the planet will go extinct. Bengaluru: Humankind’s incessant emissions have started to endanger a crucial link for Earth’s survival: Clouds. A supercomputer simulation by a team of Caltech scientists shows that at the current rate of emissions, low lying clouds that cool the planet will go extinct. Earth’s temperature will then rise by an additional 8°C. The clouds that are endangered are called ‘stratocumulus’ — low hanging white clouds that stretch out in lines seen overhead every other day. They act as a blanket for Earth, keeping away up to 70 per cent of the sunlight, thus cooling the planet. The study was published in the journal Nature Geoscience Monday. The Caltech researchers modelled complex stratocumulus clouds on a 5 square km area and ran their simulation for 2 million core-hours on supercomputers in California and Switzerland. It was discovered that as the value of carbon dioxide increased in the air, the sea level temperature rose, causing the clouds above to collapse and disappear. 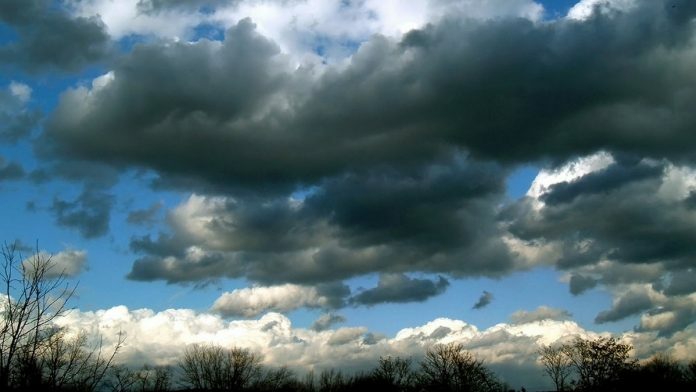 The projected timeline for the clouds to disappear is 100 to 150 years. The difference between now and the last glaciation period — commonly called ‘ice age’, where Earth was a snowball — is 4.5°C. The simulations show that with a 2°C global temperature rise, stratocumulus clouds continue to exist, but with a 4°C rise, these clouds disappear. All global climate models so far seem to be mapped accurately but fail to show accurately the extremes to which historically extreme climate events have occurred. But scientists found that once the clouds start to disappear, the numbers change drastically, imitating a historic period in history, 56 million years ago, said a report in Quanta Magazine. Back then — the Paleocene-Eocene Thermal Maximum (PETM) period — Earth was growing increasingly warm, just a few degrees above current temperatures. Carbon had been increasing in the atmosphere and the earth was baking under it. The water at the equator was hot and there were widespread natural disasters. There were also several mass extinction events across the globe. Evidence of this cataclysmic time in Earth’s history was found through the soil record, which showed the flora saturated with signs of excessive carbon dioxide exposure. It’s possible that this is the same process the Earth would mirror if it crosses the threshold of carbon concentration in the atmosphere. The loss of clouds will lead to a runaway effect, causing an 8°C rise in temperatures. This will make all life retreat towards the liquid poles, causing increased geopolitical conflict, environmental migration, widespread diseases, and frequent extreme weather events. Rapidly minimising emissions and keeping the rise under 1.5°C could avert such a disastrous future. Some climate scientists are hopeful, though, that the impending economic collapse caused by the immediate effects of climate change might act as an accelerator for curbing emissions.